Kraft Dinner move over! There's a new tasty dinner that's soon to be a classic favorite. Granted there's a bit more work to prep and cook this meal, but totally worth it, definitely a good comfort classic mmmm. But fret not, all the hard work can double as a delicious and easy freezer meal if you prep a bit more and put the sauce aside for next time. Keep on reading and your belly will thank me later. Bring a large pot of salted water to boil and cook pasta according to package. Start crisping the bacon in a pan or baking in the oven. Heat butter in a pot over medium. Add onion and sauté for 2 min or until softened. Add garlic and sauté for 1 min longer. Add flour and cayenne and cook, stirring constantly for 2 min to cook out floury taste. Add milk, a little at a time, stirring constantly until milk is fully incorporated. Stir in mustard. Bring to a boil and cook for 5 min or until thickened. Combine sauce with cooked pasta and serve into dishes. 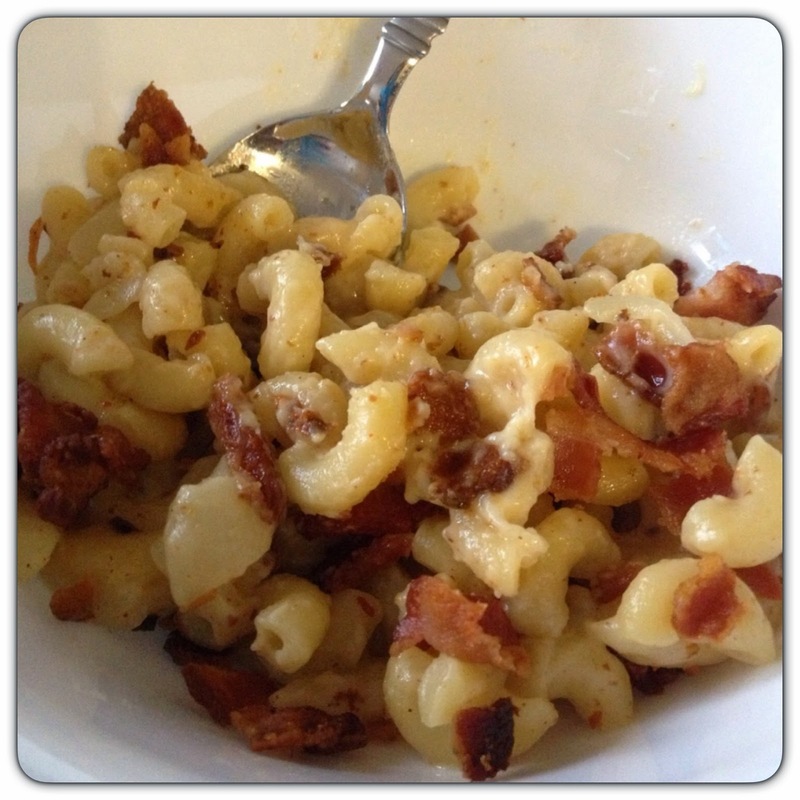 Bacon should be crisped and cool to the touch, crumble on top of pasta and serve.